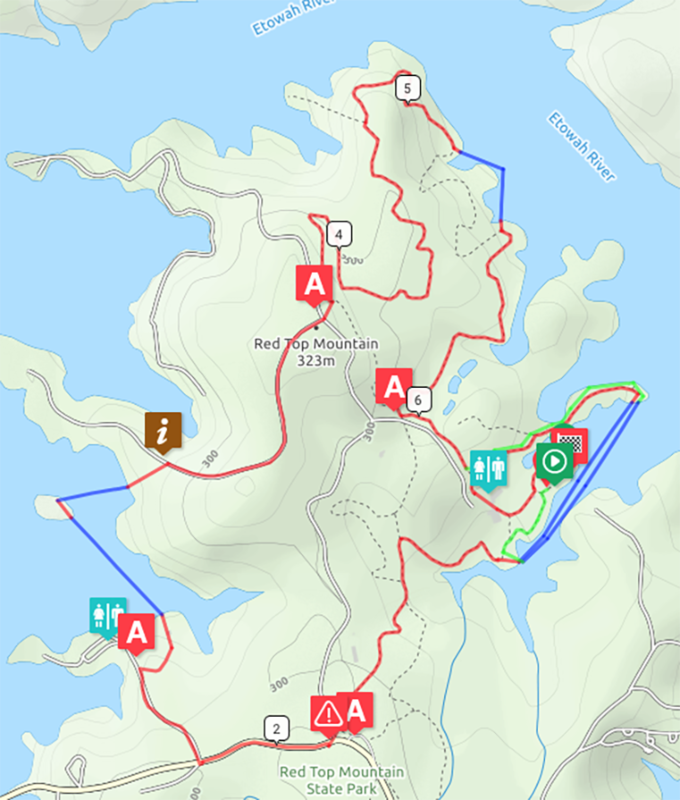 Please note that the courses are subject to change due to lake levels and trail conditions but the event will still be hosted entirely inside Red Top Mountain State Park. The Long Course will begin at 8:30 am at 50 Lodge Road with a short run to your first swim. There you will travel clockwise around the park alternating between swim and run legs for just under 10 miles of running and 3 miles of swimming. Long Course Leg By Leg Distance. *Please note, distances will be updated based on lake levels and conditions the day of the event! The Short Course will begin at 9:00 am at 50 Lodge Road with a short run to your first swim there. 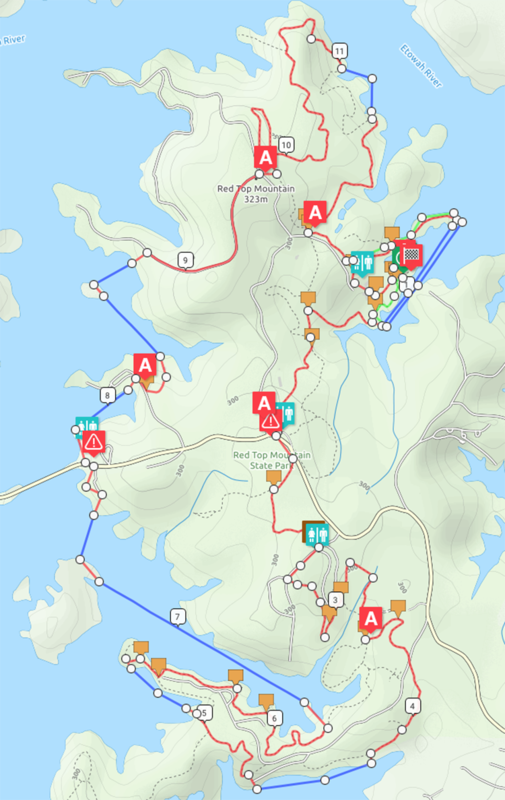 There you will mirror the long-course route for the first two swim and run legs before cutting across the mountain to join back up with the long course. 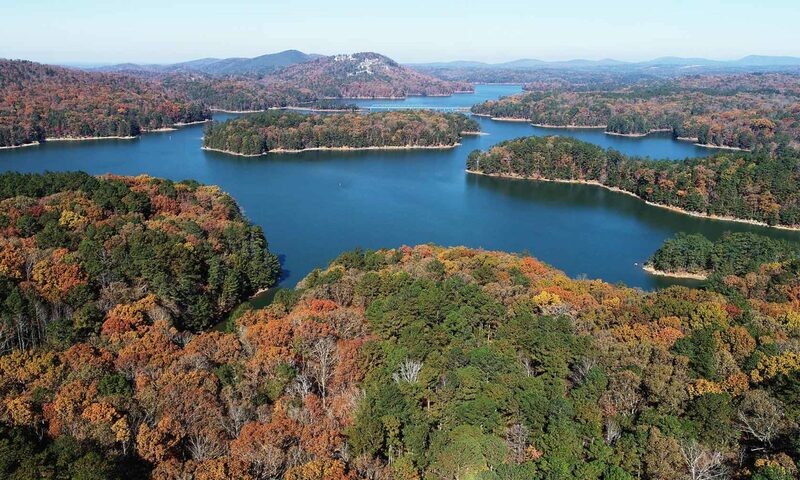 This course will be approximately 1.6 miles of swimming and just under 6 miles of running.